Disclaimer: Maybe that homemade granola I made for Earth Day is going to my head, but here's an eco-inspired post of products that are green, practical and pretty. 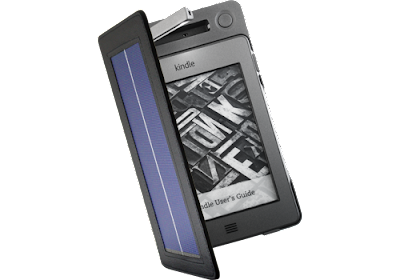 The cover has a solar panel integrated into it so that you can charge your Kindle on the go. And it uses the residual power to work an integrated reading light too. What if you have a different eBook reader? It's so nice to see companies develop products that are not only eco-friendly, but aesthetically pleasing. Big fan!